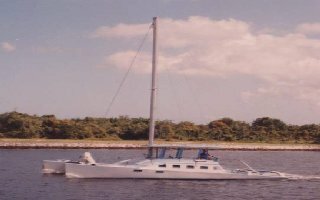 This site is constantly changing in an ongoing effort to bring you as much information as possible on sail boat manufacturers. Everyone knows how many sites there are for power boats but they sure don't help the serious sailor much! Whether you are looking for information on cat boats, catamarans, cutters, daysailers, ketches, multi hulls, sailing yachts, scows, schooners, sloops, trimarans, or yawls, we'll try and point you to information of value. As always, this information changes as manufacturers come and go. Nevertheless, we strive to keep it up-to-date and have the best listing around. So, if you come up with anything new that we don't have yet then please let us know. Many people have asked for more information about manufacturers who have gone the way of the wind. Some want to know what company made the used craft they have just purchased. This manufacturer database from the U.S. Coast Guard can help in most of these cases. Still, it doesn't help everyone. Prices seem to be another big issue as there is a lot of buying and selling going on. Take some care and don't just look at one recommended price and call it good! What may seem like a small problem can have the possibility of causing great damage and irreparable harm. If you don't believe me then ask a boat salvage yard or a salvor like Sea Tow. If you are out of your knowledge level on a purchase then get expertise from a surveyor, dealer, or broker. Back to prices....check the NADA guide, other blue books, and classifieds sites to get a good price range. Some blue books are online while you may end up checking at your bank or credit union as well. 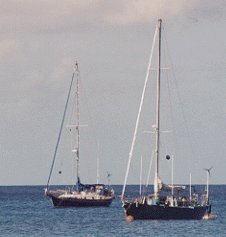 Sailors commonly sell their smaller vessels and progressively move to larger ones. If you find yourself in this situation then we recommend that you sell your craft on the high-traffic iboats classifieds. Less time inbetween vessels means more sailing! We have a few hundred sailing books and we have indexed them to help you find the book you need. Show your love of sailing through sailboat jewelry. Just as an FYI mostly, here are some statistics for the most searched sailboats. While this may be kind of a popularity ranking, we still urge you to get the right craft for the type of sailing you want to do.